I remember when I was first starting out with design, I always wondered about the right size for everything. Rugs, sofas, artwork... I had (and still do) this obsession with getting the scale just right because there's nothing worse in interior design than pieces that don't fit together by measurement. 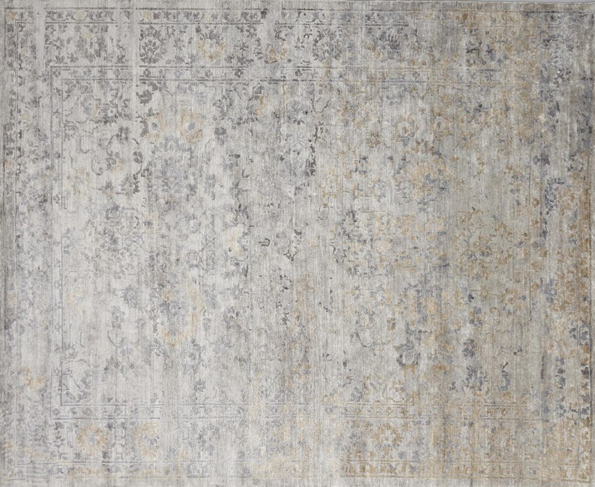 At Synonymous, we love rugs because they are the perfect way of delineating a space and injecting some texture, so we just had to have a Design Study on the right sizes. 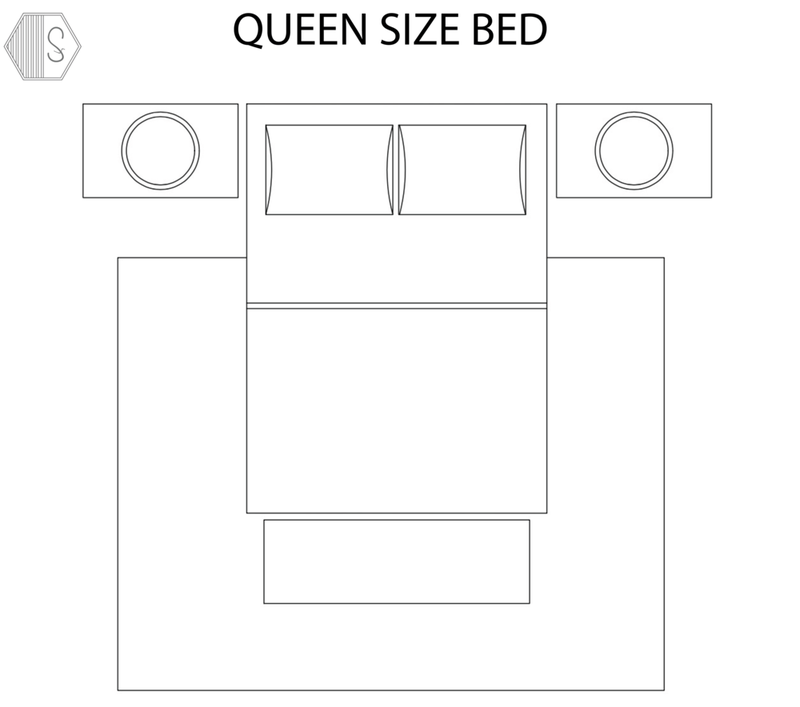 There are standard measurements we find work great and fit nicely under different sized beds. Rugs can be used anywhere and luckily there are materials in the market that helps us utilize them indoors, outdoors and in high traffic areas. In this case, we'll be discussing them in the bedroom. Bedrooms are known to be the ideal place to install carpet. Some people are actually very keen on this idea because they simply love the comfort underfoot throughout the entire space. Instead, we propose wood floors and taking advantage of a low pile rug for the sought comfort. I must admit I'm not a very big fan of carpet, really. 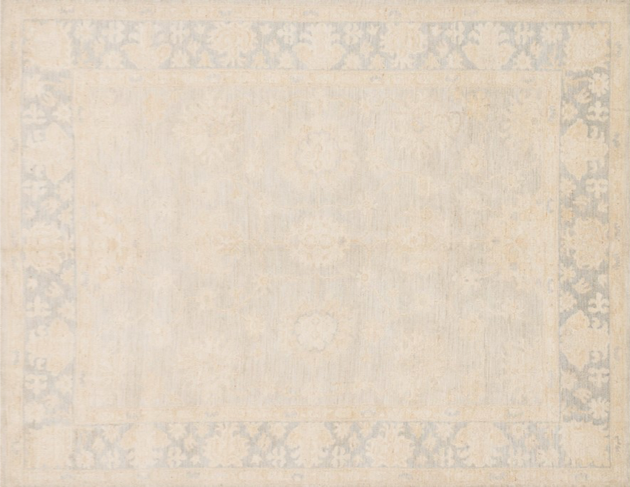 Typical Rug Size: 5'6" x 8'6"
Typical Rug Size: 9' x 12"
First, make sure the rug has a low pile as this offers the most classic and sophisticated look. It also helps when you're wanting to layer rugs in the bedroom. A low pile rug is specially useful in bedrooms with wall to wall carpet. Make sure the rug does not exceed the nightstands. Instead, it should ideally land mid-way. Leave around 8" or 9" inches of space between the nightstand and the rug. Finally, You want to leave about 12" to 24" inches of rug space all around the bed. 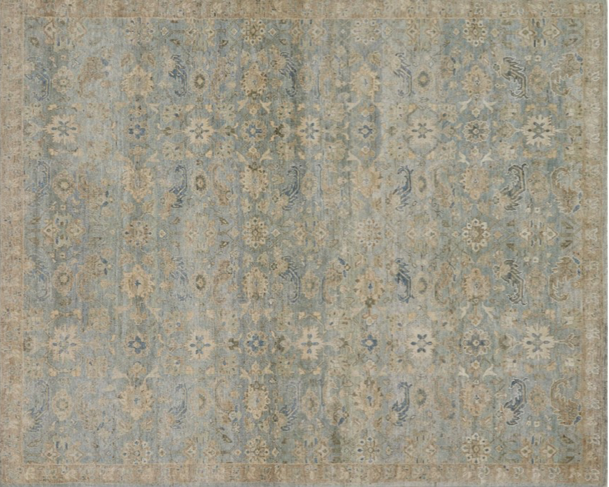 When it comes to design, we're very much into the vintage, faded and fluid designs that adorn a rug. Graphic patterns tend to be quite modern and very dominating at times. This is why we prefer neutral, organic patterned, transitional rugs in our modern spaces. Check out our favorites below, which you can order and buy directly through us. Just click on the rug you like to be directed to its page. You won't be able to purchase there, so send us a message if you're interested in any.